In 2018, I had the pleasure of being a Founding Member of the Global Coalition on Youth Mental Health to address the growing prevalence of anxiety and depression in youth. 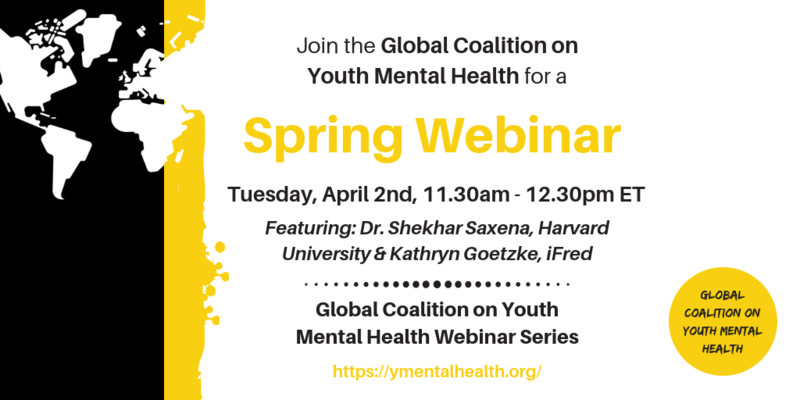 In honor of Global Teen Health Week, on Tuesday, April 2, 2019 at 11:30 am (ET), I am participating in a 60-minute webinar to speak of the global statistics, our research on Hope, and progress with Hopeful Minds and our new 7 Cups collaboration. Like our program, this event is free and available to all and I hope you and your colleagues, friends, and family join us to learn more. 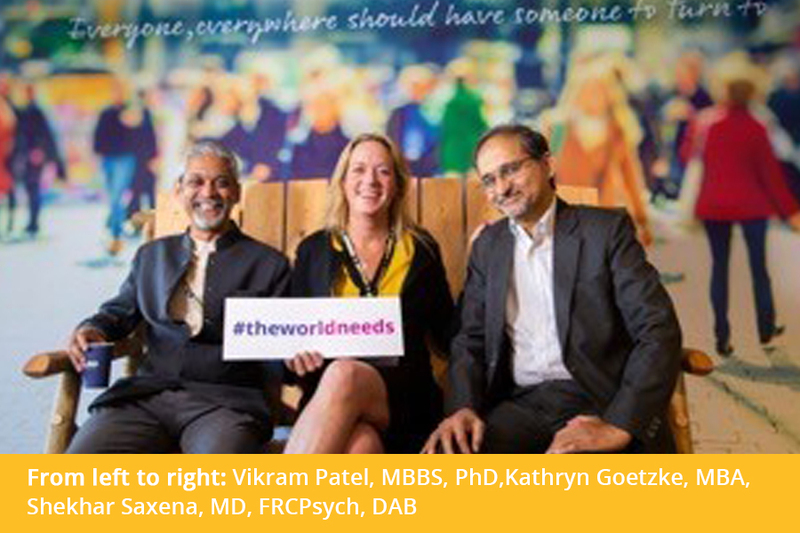 Dr. Shekhar Saxena, Professor of the Practice of Global Mental Health at Harvard University and former Director of the Department of Mental Health and Substance Abuse at the World Health Organization (WHO), is joining the call. He has been a great leader in the mental health space, and will be giving a broad overview on the global issue, and why we must act now. He is a leading expert in the space, so it is a great honor to be with him, and there will be time for Q&A so you may ask questions and engage with him. Hopelessness is the primary predictor of suicide, and leading symptom of depression and anxiety. Hopelessness is correlated to increased partner violence, carrying weapons to school, and self-directed violence. Higher hope is associated with better academic performance, less stress, increased productivity, quality leadership, resilience, lower anxiety, better social connection, and less loneliness. We absolutely must address Hope in a systemic level. Please join us in our mission to amplify the many voices on youth mental health worldwide, and share this with all interested. You may also RSVP to our Facebook event, and again please share with your communities. We appreciate your participation in our effort to galvanize awareness, collaboration, and action around youth mental health.